One symbol of the sign of Scorpio is the phoenix. If you meditate upon the legend of the phoenix you will begin to understand the Scorpio character – his or her powers and abilities, interests and deepest urges. The phoenix of mythology was a bird that could recreate and reproduce itself. It did so in a most intriguing way: it would seek a fire – usually in a religious temple – fly into it, consume itself in the flames and then emerge a new bird. If this is not the ultimate, most profound transformation, then what is? Transformation is what Scorpios are all about – in their minds, bodies, affairs and relationships (Scorpios are also society’s transformers). To change something in a natural, not an artificial way, involves a transformation from within. This type of change is a radical change as opposed to a mere cosmetic make-over. Some people think that change means altering just their appearance, but this is not the kind of thing that interests a Scorpio. Scorpios seek deep, fundamental change. Since real change always proceeds from within, a Scorpio is very interested in – and usually accustomed to – the inner, intimate and philosophical side of life. Scorpios are people of depth and intellect. If you want to interest them you must present them with more than just a superficial image. You and your interests, projects or business deals must have real substance to them in order to stimulate a Scorpio. If they haven’t, he or she will find you out – and that will be the end of the story. If we observe life – the processes of growth and decay – we see the transformational powers of Scorpio at work all the time. The caterpillar changes itself into a butterfly; the infant grows into a child and then an adult. To Scorpios this definite and perpetual transformation is not something to be feared. They see it as a normal part of life. This acceptance of transformation gives Scorpios the key to understanding the true meaning of life. Scorpios’ understanding of life (including life’s weaknesses) makes them powerful warriors – in all senses of the word. Add to this their depth, patience and endurance and you have a powerful personality. 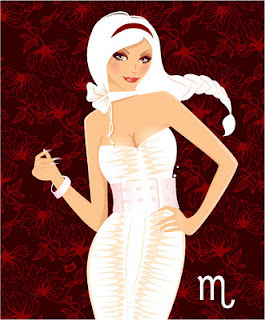 Scorpios have good, long memories and can at times be quite vindictive – they can wait years to get their revenge. As a friend, though, there is no one more loyal and true than a Scorpio. Few are willing to make the sacrifices that a Scorpio will make for a true friend. The results of a transformation are quite obvious, although the process of transformation is invisible and secret. This is why Scorpios are considered secretive in nature. A seed will not grow properly if you keep digging it up and exposing it to the light of day. It must stay buried – invisible – until it starts to grow. In the same manner, Scorpios fear revealing too much about themselves or their hopes to other people. However, they will be more than happy to let you see the finished product – but only when it is completely unwrapped. On the other hand, Scorpios like knowing everyone else’s secrets as much as they dislike anyone knowing theirs.